Hey everyone! 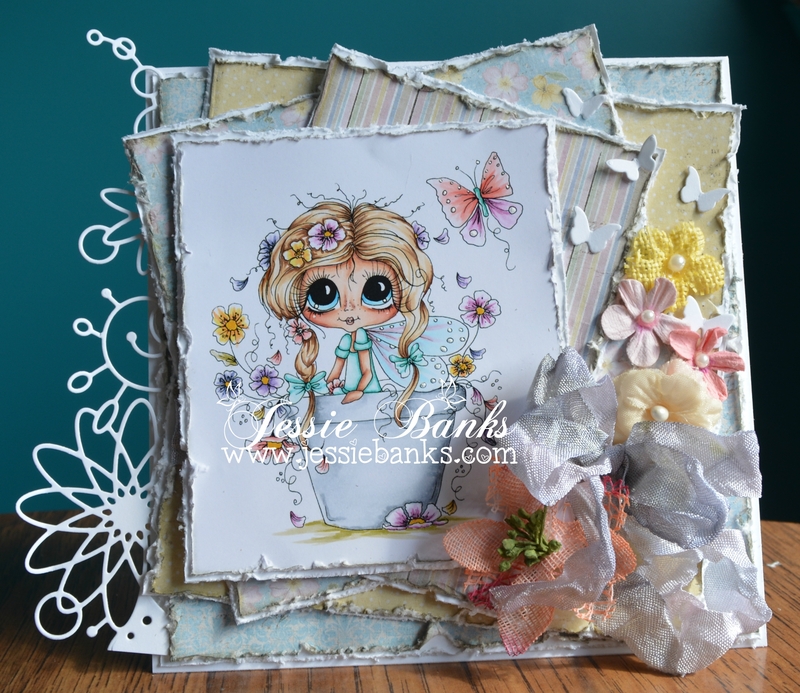 Today I am back with a lovely shaped shabby card using Wee Stamps Sympathy Bugs, available in rubber as well as in digital form. I coloured them up with my copic markers. 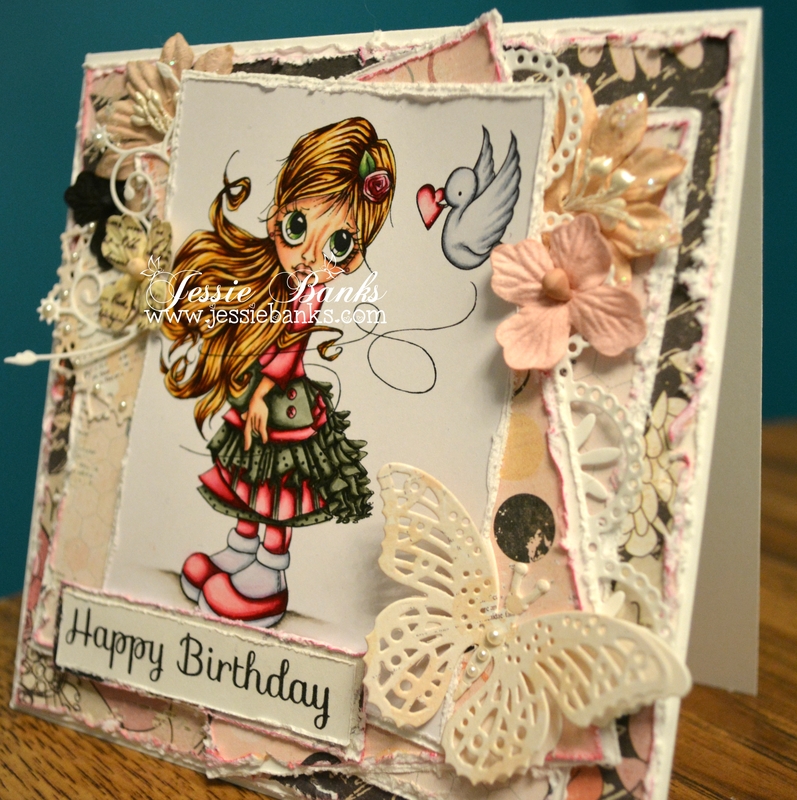 My shaped card base is cut on my Silhouette Cameo layered with cardstock and patterned paper, the butterflies are from a Memory Box die, cheese cloth, lace, bulap, and a few gems finish off the front of this card. Hey everyone! Isn’t she just the cutest little girl in the world! This is Angelina’s Balloons from Mo’s Digital Pencil, she is painted with my inktense pencils, and was printed on Arches 140 lbs coldpress watercolour paper. I used a bunch of my paper scraps for this card, I beleive most of them were Poin, We R Memory Keepers circle dies, Memory Box Scallop Pennants Dies, an old wood veneer (I don’t remember where from), and Wild Orchid Crafts flowers. Hey everyone! Hope you all are well. 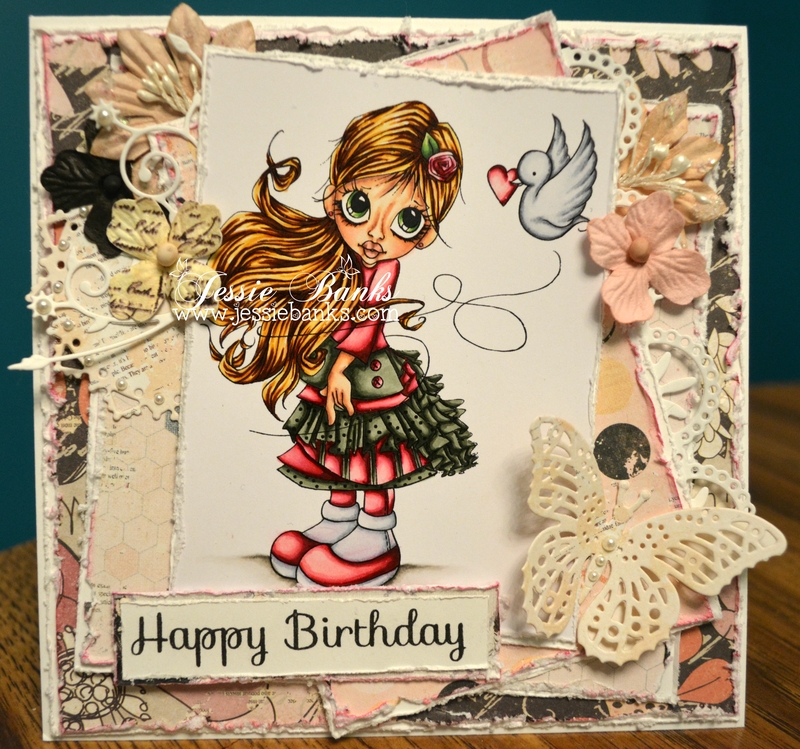 I am back today with a fun card (and speed colouring video) featuring Saturated Canary Braid, you can get this image in the Set of Three Digi’s, for the girls. It has been a while sense I have done a big over the top card like this, you know, piled high with everything including the kitchen sink. 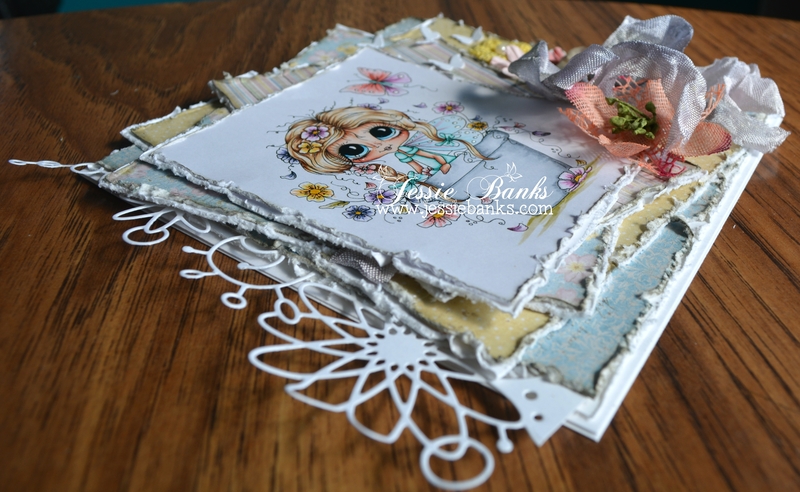 I used some of my hoarded treasured, Cashmere Dame paper from Glitz Design, spellbinders, memory box, and Simon Says Stamp dies. the ribbon and trims and strings are all random ones from my stash, Wild Orchid Crafts Flowers. Hey everyone! I am back with my latest card for you all, and I am absolutely in love with it! It’s been awesome using my markers again! For this card I used Canary Love from Saturated Canary. Coloured her with my copics. 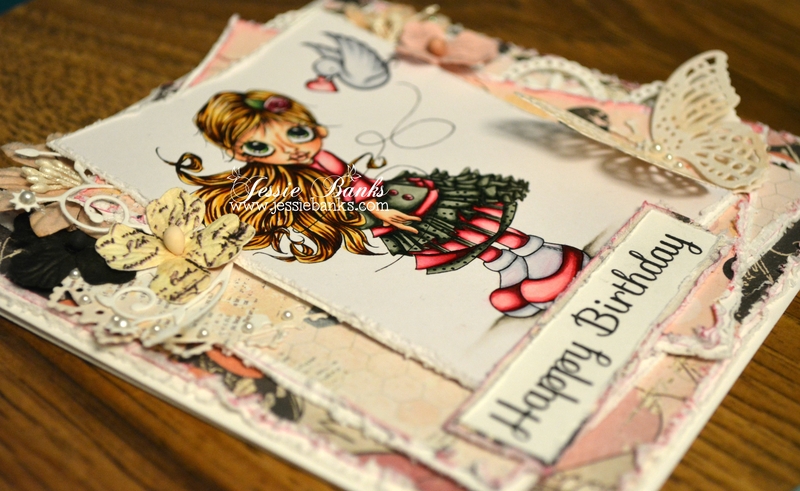 I used some old Prima papers and flowers from my stash to layer and embellish my card.